20 amp rated round rocker illuminated in the on position, pin point LED light. Fits 3/4" mounting hole. 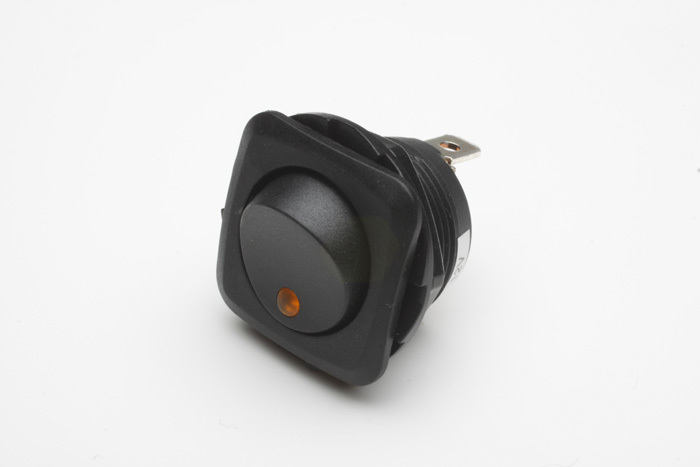 Switch, Rocker, lighted, pin point, square, Amber / ea. Switch, Rocker, lighted, pin point, square, Green / ea. Switch, Rocker, lighted, pin point, square, Red / ea.